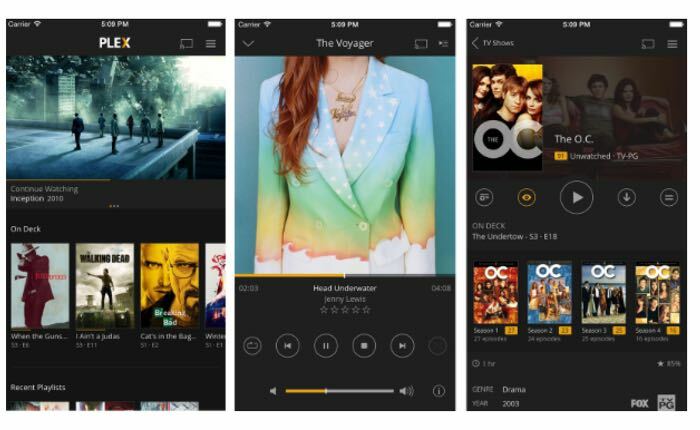 Plex has announced the rollout of a major new update to its Plex iOS application which brings with it a wealth of new features together with a new user interface design. Features of the new Plex iOS App include Video Chapters, Rotten Tomatoes integration, Rich Media Browsing and additional functionality with the rollout of next-generation mobile sync technology. Plex explains more about the Plex iOS app mobile sync features. People love Mobile Sync. After all, how awesome is it to be able to snag a movie or a few episodes of a TV show and watch them on the bus, plane or horse drawn buggy after you’ve used your time machine to go back to the era of hand-churning butter (or just visited rural Pennsylvania)? But we know it has its limitations. It can be slow. Occasionally it’s even been known to nuke all your synced content. We’ve even heard it once ignited a small-scale war between two remote and undiscovered tribes of the Amazon. Whoops. This is why we’re thrilled to announce that our brand new iOS app is the first to include our next-generation mobile sync technology, known, naturally, as Sync v2. What’s so great about it? Lots. First of all, it’s much faster, especially for incremental syncs, which can literally be hundreds of times faster when you’ve got a lot of content synced. It also supports partial sync, which means that if you leave your house before finishing a large sync, you’ll still have perfect access to all the media you managed to sync. It’s also much more reliable, and there’s improved support for background syncing. Last, but definitely not least, you can sync playlists. For more information on the Plex iOS app jump over to the Plex website via the link below.